My most favourite part of turkey dinner is a classic stuffing, one like my grandmother use to make. 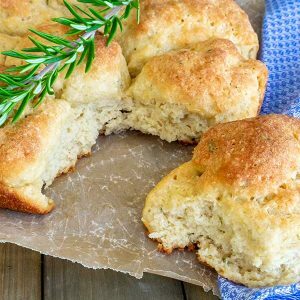 Because of everyone’s dietary needs, it has become challenging during holiday gatherings. This is why I wanted to make a gluten-free, low-fat vegan stuffing that is light and airy and perfectly crisp on the outside. It is not the heavy cake style that you need to cut with a knife. 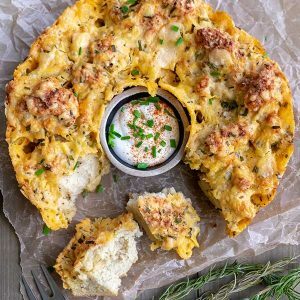 Basic stuffing is a combination of dry bread, butter, onions, celery, broth, eggs, spices and fresh herbs. 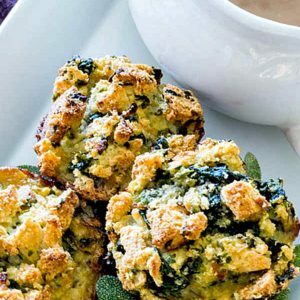 But gluten-free stuffing is a bit trickier because of the bread texture the stuffing can become dry or soggy and mushy. When you are making gluten-free stuffing, there is more to it than just using gluten-free bread, especially when making gluten-free vegan stuffing. I know it can be trying to figure out the combination of ingredients that make that perfect stuffing, so I am sharing my favourite gluten-free, low-fat vegan stuffing recipe with you. First, you must start with gluten-free white sandwich bread, do not use heavy seeded bread, it will not work. The second important part is, the bread has to be well toasted. Since gluten-free bread tends to be dry and bland, I have added fresh apples which add moisture and delicious flavour and the apple pairs well with the bread. I have also added a few raisins, adding texture and a little sweetness, trust me it makes the stuffing sensational. The rest is easy, plenty of spices, fresh herbs and just the right amount of broth, oh yes one more important ingredient, flaxseed. I would like to add that when it comes to seasoning feel free to choose any seasoning you like. Now bake the stuffing in the turkey or outside? In my opinion, gluten-free stuffing should always be cooked outside of the turkey because it needs the air. Otherwise, it WILL become soggy and mushy. 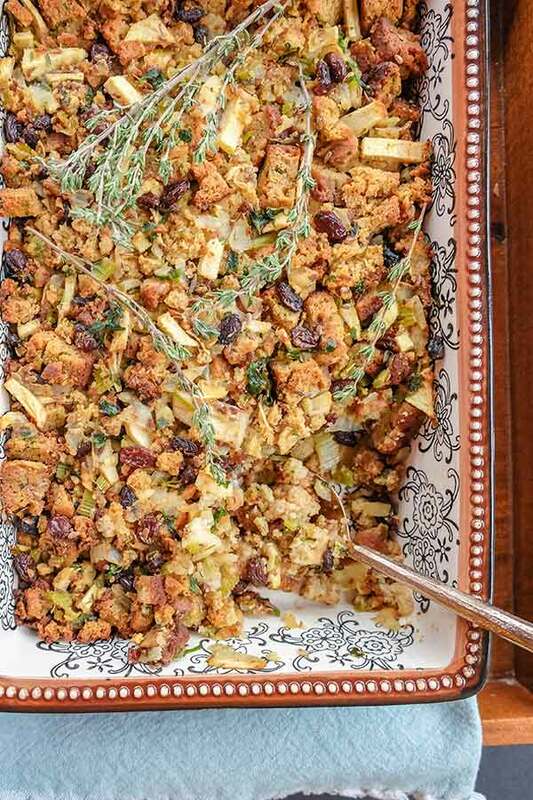 Another reason to bake this stuffing outside of the turkey is that it is vegan. The best part about this stuffing is, you can add it to just about anything then smother it with gravy and dig in! Transfer stuffing to prepared pan and bake for 45 - 50 minutes until golden brown and crispy. Enjoy!